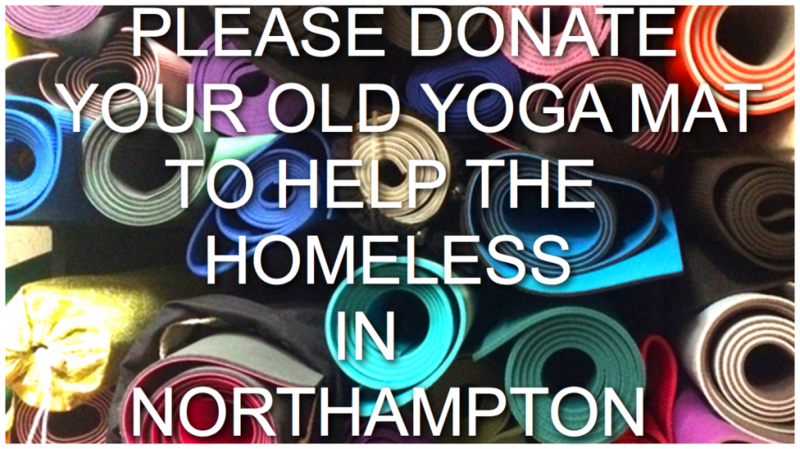 » Please help the homeless and donate your old Yoga Mat. Do you have an old yoga mat that is gathering dust in the back of a cupboard? Or maybe you had a new yoga mat as a Christmas gift and are wondering what to do with your old one. I’m supporting Project 16.15 and they are looking for yoga mats that they can give out to the homeless in Northampton to use as mattresses. If you have a mat that you can donate please either drop it at Becca Mclachlan Fitness Studios or leave for me to collect from Brampton Heath Golf Club Shop, Sandy Lane, Church Brampton, Northampton. NN6 8AX.